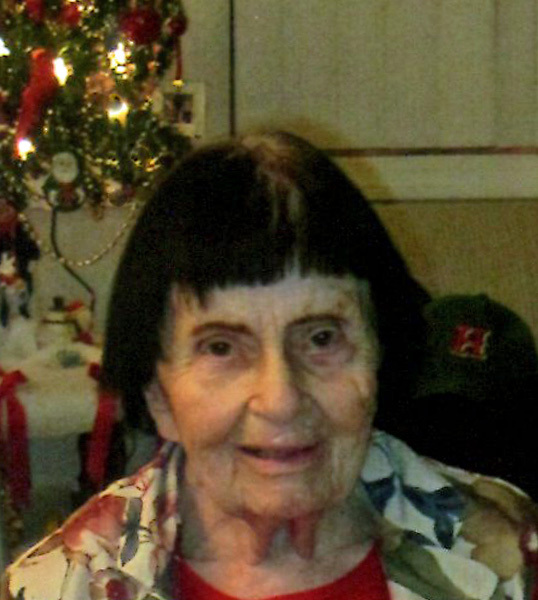 Lucille M. (Fontaine) Airoldi, 93, was called to her eternal heavenly rest Tuesday, July 3, 2018 at the Willimansett Center East in Chicopee. Born in Holyoke on Jan. 14, 1925, she was the daughter of the late Ernest & Lilla (Rino) Fontaine. A Chicopee resident for most of her life, Lucille worked as a machine operator for the former Ren Electronics in South Hadley. She was a member of St. Anne’s Church in Chicopee and a member of its Ladies of St. Anne Sodality. The wife of the beloved late George L. Airoldi and sister of the late Leslie Fontaine and Estelle Lavoie, Lucille is survived by her four children, Philip Airoldi and his wife Liz of Brewster, Diana Carter and her husband Robert of Belchertown, George Airoldi and his wife Michele of S. Hadley and Dennis Airoldi and his wife Joanne of Brooksville, FL, as well as 9 grandchildren, 14 great-grandchildren and one great-great-grandson. A Funeral Mass will be celebrated for her on Wednesday, July 18 at 10am at St. Anne’s Church, 30 College St., Chicopee (01020) with burial to follow in Notre Dame Cemetery, S. Hadley. In lieu of flowers, contributions in Lucille’s memory may be made to the Dana Farber Cancer Institute, Jimmy Fund, P. O. Box 849168, Boston, MA, 02284-9168. Nowak Funeral & Cremation Services of Springfield is assisting the family. For additional information, please visit www.nowakfuneral.com.